The Division of Human Resources is dedicated to the recruitment, retention and development of a highly qualified, talented, and diverse workforce. Human Resources strives to enhance the quality of services for faculty, staff, and the community. The Division applies innovative approaches to promote Penn as a best employer through compensation, benefit, and training programs that attract, develop, and retain a talented workforce and programs that enable faculty and staff to maintain a balance between work, family, friends, and community. For more information on Human Resources, click here. Vice President Jack Heuer, Ed.D. Jack Heuer serves as the Vice President for Human Resources. Dr. Heuer has over 30 years of experience and expertise in all facets of human resource strategic planning and administration. 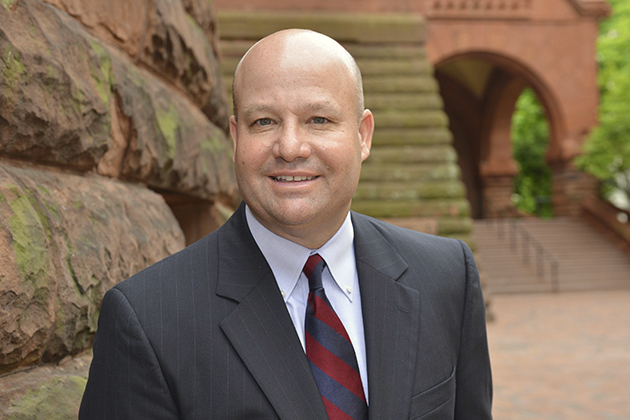 Under his leadership, the Division of Human Resources has implemented several initiatives that have served to enhance the Penn experience and future of work for faculty and staff—from recruitment to professional development, to retirement, and most recently through the implementation of Penn’s Human Capital Management (HCM) Transformation Initiative. To name just a few: the development of a new interactive guide to help faculty and staff navigate through managing life events; the commitment to providing up to four weeks of paid parental leave to eligible employees; and the creation of the Penn Employee Solution Center with a focus to improve Penn’s people-centered services in a consistent, up-to-date manner. Dr. Heuer received his Ed.D. in Higher Education Administration from the University of Pennsylvania’s Graduate School of Education. He received an MS in Organizational Dynamics from the University of Pennsylvania and Bachelor of Business Administration from Temple University. His professional associations include the Society for Human Resources Management (SHRM) and The College and University Professional Association for Human Resources (CUPA/HR). He has taught, as Lecturer, in Penn’s Graduate School of Education and served as a dissertation committee member. He is a Board Member and Chair of the Human Resources Committee, Welcoming Center for New Pennsylvanians, where its mission is to accelerate immigrant integration through training, employment and entrepreneurship.